Bleeding gums of a person are indicators of health risks, more particularly heart diseases, the person concerned may be exposed to, said a study published in the recent issue of dental health magazine. Gum infections were cited to also enhance susceptibility of the sufferers to diabetes and even obstetric complications among would-be mothers. The situation was attributed to the fact that bacteria from one’s mouth can travel to bloodstream, setting off an inflammatory reaction elsewhere in the body. Left untreated, gum disease can increase risk for a host of diseases linked to inflammation, said the researchers mentioning that certain diseases and medications may also cause mouth problems. As for linkage between mouth bacteria and the heart, the researchers said people with gum disease are more likely to suffer from heart disease than those with healthy, pink gums. Theoretically oral bacteria travel into the bloodstream where it may attach to fatty plaques in the arteries, causing inflammation and setting the stage for a heart attack. As for co-relation between gum disease and diabetes, they opined that diabetes can reduce the body’s resistance to infection. It is not only that elevated blood sugars increase the risk of developing gum disease but gum disease can also make it harder to keep blood sugar levels in check. The people in general have therefore been strongly recommended to protect their gums by keeping blood sugar levels as close to normal as possible through brushing their teeth after each meal and floss daily. Expecting mothers with gum disease were identified to be at risk of having baby born too early and too small. Underlying inflammation or infections may be to blame. Pregnancy and its related hormonal changes also appear to worsen gum disease, said the researchers. 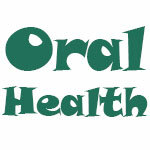 They also identified dry mouth and tongue among the major contributory factors toward tooth decay. This was because the body’s immune system mistakenly attacks tear ducts and saliva glands, leading to chronically dry eyes and dry mouth (called xerostomia). Saliva helps protect teeth and gums from bacteria that cause cavities and gingivitis. So a perpetually dry mouth is more susceptible to tooth decay and gum disease. Moreover, ”Stress“ also enhances one’s risk to oral health problems as people under stress produce high levels of the hormone cortisol, which wreaks havoc on the gums and body. Stress leads to poor oral care, they said mentioning that more than 50 percent of people don’t brush or floss regularly when stressed. Stress-related habits include smoking, drinking alcohol, and clenching and grinding teeth (called bruxism). Osteoporosis, the brittle bone disease was identified to be another cause of Tooth Loss as it affects all the bones in our body including the jaw bone that can cause tooth loss. Bacteria from periodontitis, which is severe gum disease, can also break down the jaw bone, said the researchers.